Live music on Resonance FM‘s Hello GoodBye this Saturday lunchtime featuring classic Rock’n’Roll from The Houserockers and raucous Rumble-Bop from Oh! Gunquit. 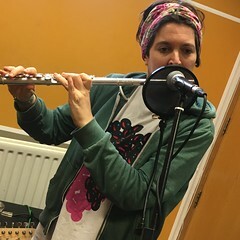 This entry was posted in dexter bentley, hello goodbye show, Hello GoodBye: Playlists, resonance fm and tagged dexter bentley, hello goodbye, oh! gunquit, resonance fm, the houserockers. Bookmark the permalink.